For those who need to travel a certain distance everyday, it might often get hectic to always board some public transport. But, if one owns an electric folding bike, travel becomes so much easier, these bikes are efficient and take up very little space. Electric folding bikes are also very convenient transport for those who wish to travel during holidays since they are lightweight and hassle free. 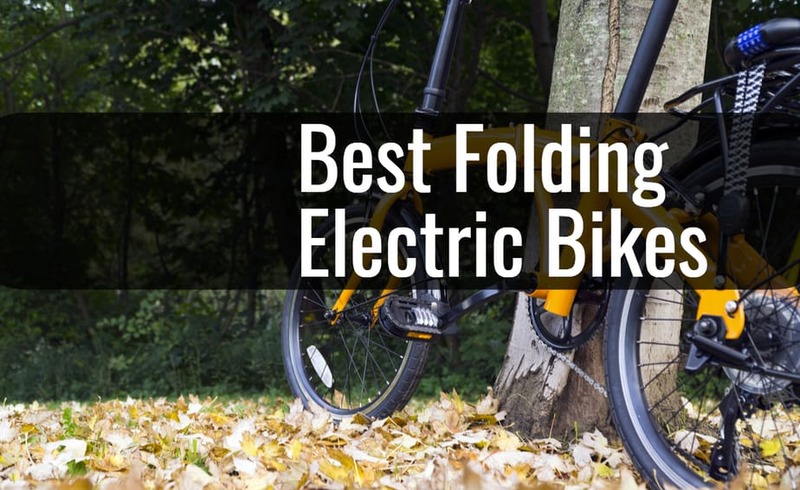 This is the reason, we tried to find out best folding electric bikes which are making the world crazy right now and presented in this article. Designed to have a “dolphin” shape, the Ancheer folding electric bike is one of the lightest bikes available. It weighs only 12 kg and the frame, as well as the saddle seat is made up of aluminium alloy. This particular bike can run at a maximum speed of 16 mph and the mileage range changes according to the range of weight of the bike. 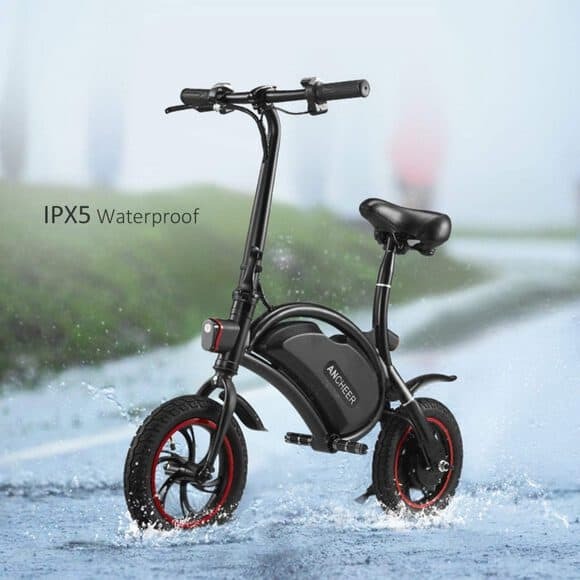 This electric folding bike also has another important feature and that is IPX5 Waterproof Range which assures that the bike will not get damaged due to any angle low pressure jet and will work perfectly till you actually dump it completely in water! The bike is powered by a lithium battery (36V, 350W). The bike is able to carry a maximum load of 265 lbs and under a load of 160 lbs, it is better to guide it manually especially on slopes that are at an angle of 10 degrees or even less. But due to the bike being pretty lightweight, this should not be a problem. While most electric folding bikes are designed for daily use on normal, well maintained roads, the VTUVIA Folding Electric Bicycle is designed to do so perfectly, while also being really suitable for uneven terrain which means this bike is great for riding up mountains and rocky surfaces, even in the snow. The batter used is a lithium ion battery (48V, 12Ah) and is powerful enough to ensure that one can go for a long trip without needing to recharge. The brushless motor is designed specifically for the bike to be used in all terrains. The bike is also equipped with a LCD screen which has backlight and displays the distance covered, the status of the battery, and also shows the speed at which the bike is being ridden. 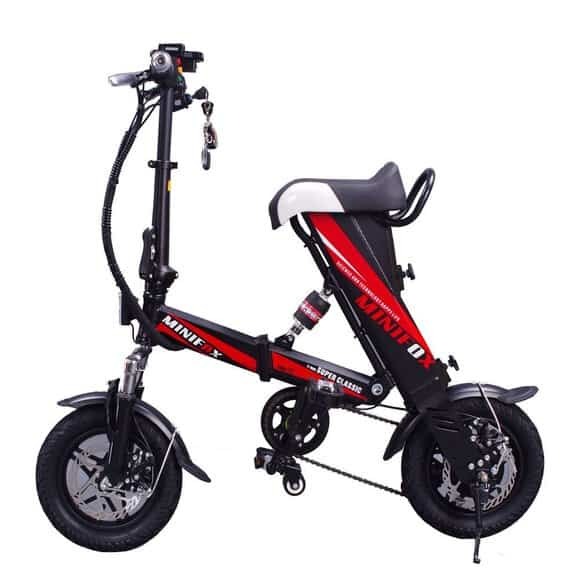 The frame of this electric folding bike is durable and is made of 6061 aluminium alloy, which is of very high strength. The maximum speed of the bike is 28 mph and can cover about 35 miles without needing to recharge the battery. 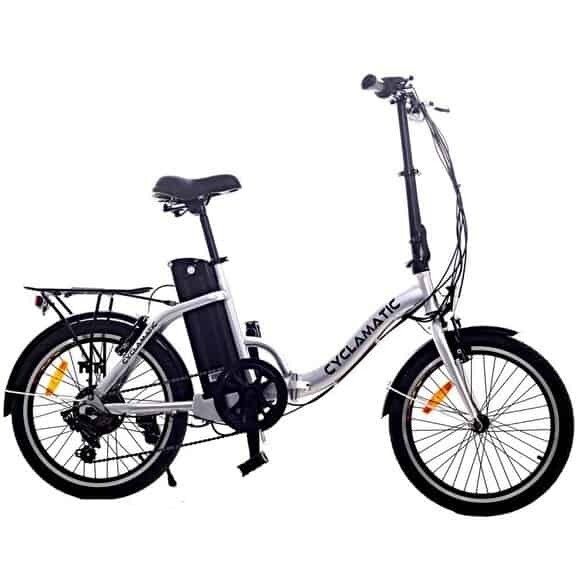 Available in two different colours (black and white), the Swagtron SwagCycle is a bike that is innovative, especially because it follows a strict rules of no emissions and also because it makes riding much easier since the bike is pedal free. The bike is very compact and of a design that is clean and modern, and is also extremely affordable. The lithium battery of 36V, is powerful enough and it allows one to ride considerable distances for almost three hours before recharging. The frame of the bike is made out of aluminium which is of aerospace grade and it has a weight capacity of 264 lbs. 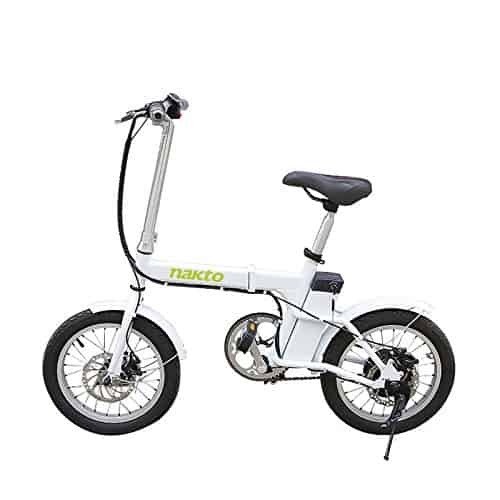 The handlebars of this folding bike allow one to accelerate and brake whenever required and also one can check the battery, honk the horn or even flash the headlights. The design of this electric bike has another plus points and that is USB ports for charging your other electronic devices on the go! This electric bike is different than most others due to its high carbon steel frame and a design that gives it a distinct edgy, sporty finish. The motor is a 250 Watt one of extremely high speed and the 36V, 8Ah battery powers the bike for a good six hours. Being very light, the bike is very convenient for daily use and it can be easily folded without any hassle which makes it ideal for holidays that involve short distance travels. This is one electric folding bike that takes minimum space for storage and is ideal for those who are daily commuters or even regular travellers. The motor used in this particular bike is extremely powerful and comes without brushes. The gear system is also upgraded to being one with six different speeds. The bike is made into a premium device because of its smooth design which includes a steel frame that is very modern and looks very innovative as well as the addition of v-brakes that are quite strong. The pedals of the bike are CX2 and when one pedals a bit, initially, the motor of 250W starts running, and now riding becomes easier. Also, the CX2 pedals have different assist speeds of low, medium and high and this can be determined by a set of controls placed on the handlebars. 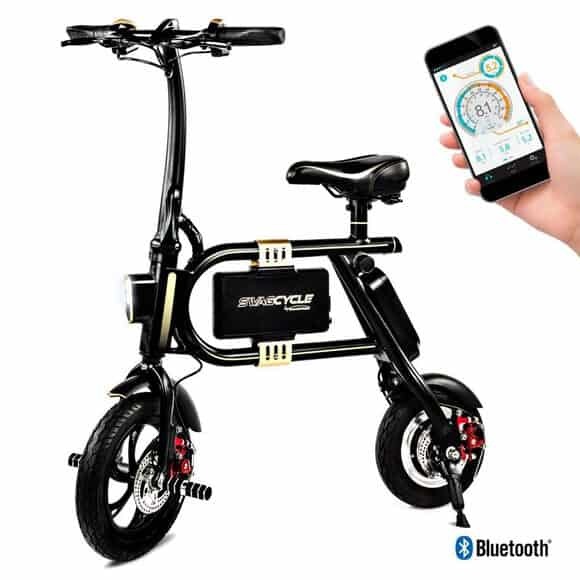 Powered by a lithium ion battery which can be easily replaced and recharged whenever required, the bike can travel up to twenty five to thirty miles at 15 mph especially on a normal road. The bright silver finish is very classy and comes equipped with good quality tyres and mud guards for safety. 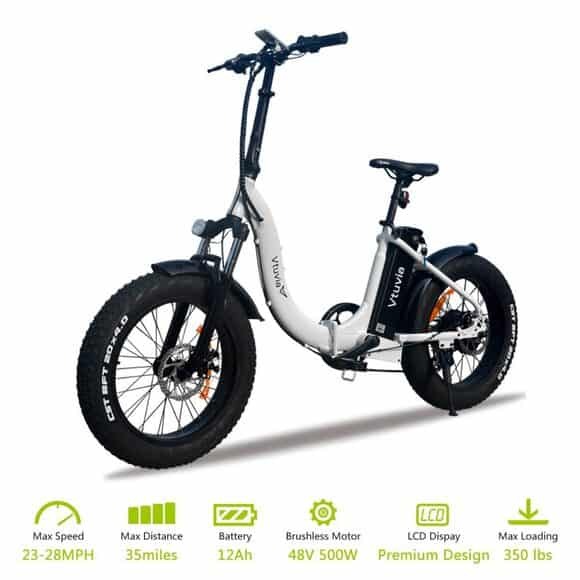 Although there are no color choices available for this particular electric folding bike, this is one the most powerful bikes in the market and this is because of a 220W gear motor, without brushes and the lithium ion battery 36V, 6Ah which allows one to travel up to 13 miles before recharging. The frame of this bike is made of steel and it weighs very less which makes it very convenient, not only for riding but also for storage. There is also an integrated USB port which allows one to charge any external devices. These six electric folding bikes given above we think are the best ones available and since there are no emissions released, these bikes are very safe options for the environment as well. So, electric folding bikes are possibly the best commute options which are convenient as well as healthy.